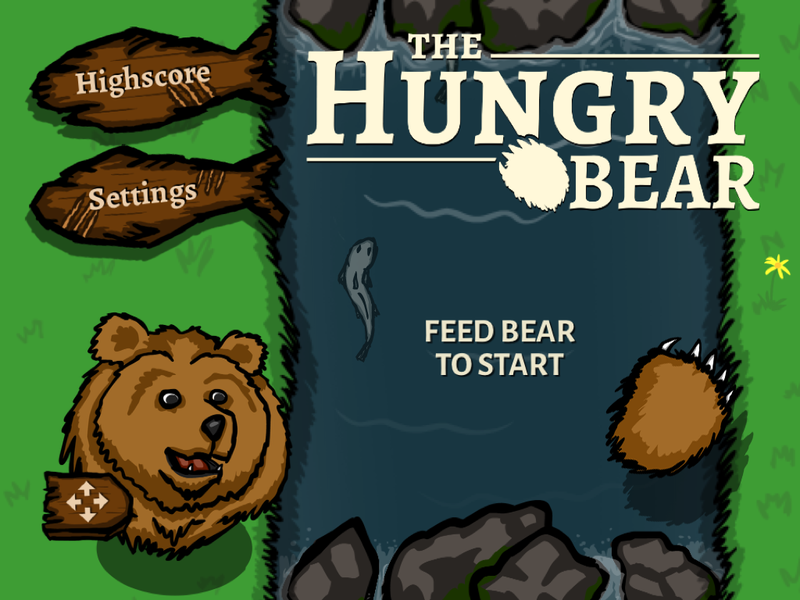 The Hungry Bear is hungry! 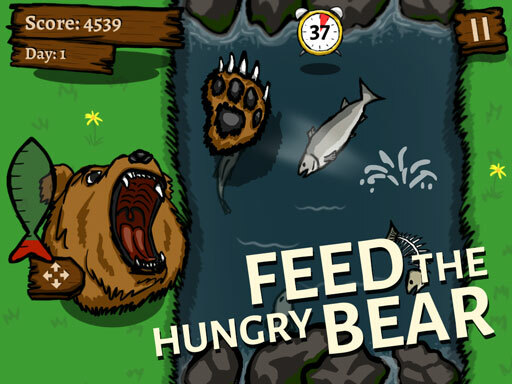 'The Hungry Bear' is the latest tablet and mobile game where you help feed The Hungry Bear by catching fish with the swipe of your fingers! 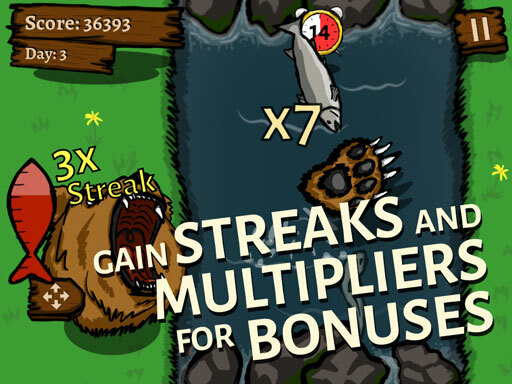 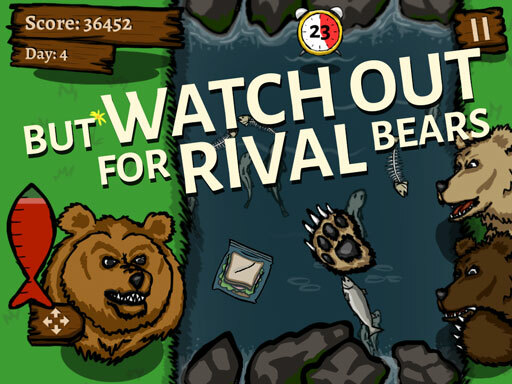 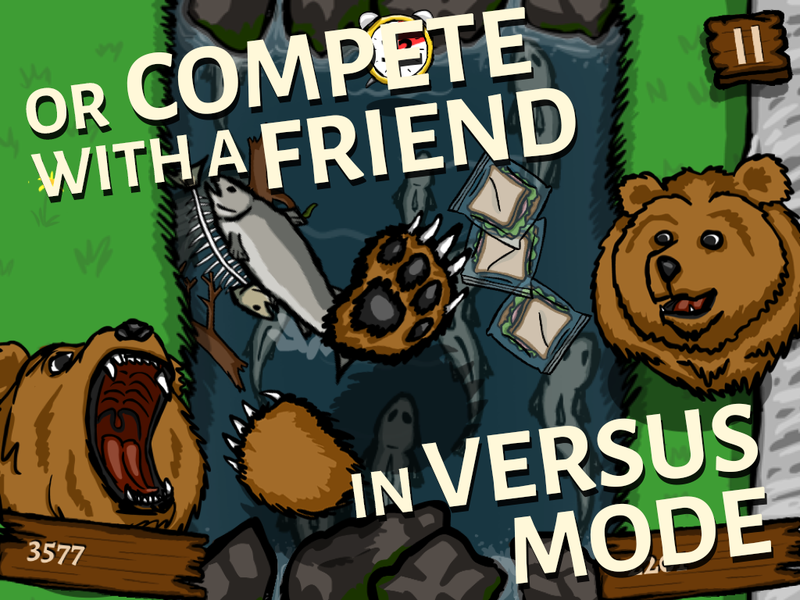 Help feed The Hungry Bear each day by catching salmon from the river. Work on your paw technique to achieve higher levels, but watch out for those pesky Rival Bears! Catch more than 5 fish in a row, and discover what magical fish are lurking underneath. 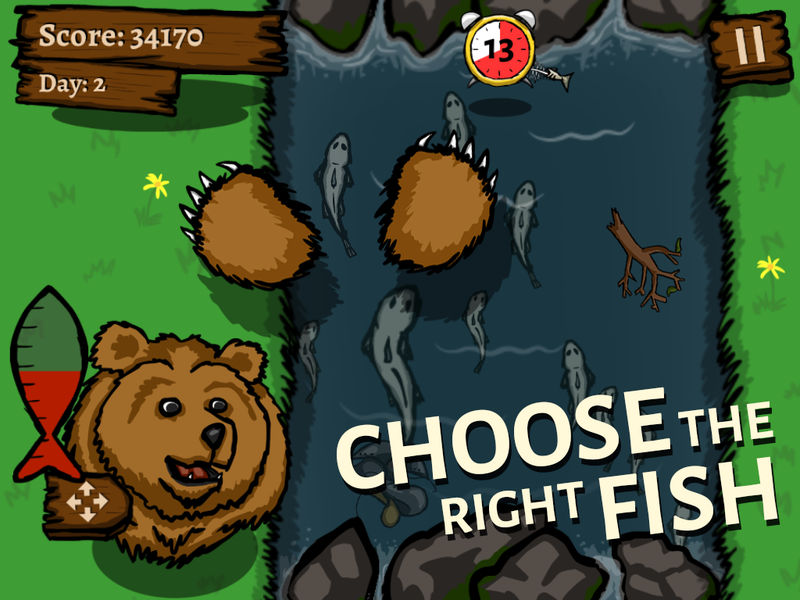 See if you can uncover the legendary Monster Trout!